Ever have a book that you wanna read but the hype scares you? I mean when EVERYONE likes it, that makes me nervous. It puts a lot of pressure on me. What if I don’t? I’ll have to keep it a secret or risk defending my reasons for not liking it. I hate it when that happens. 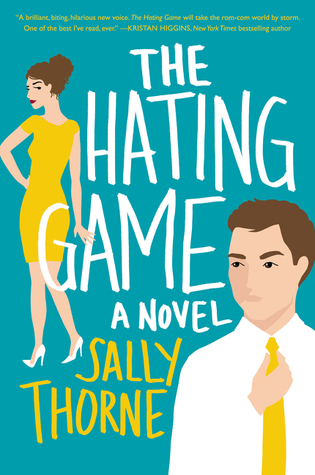 Well, The Hating Game was that book. I’m gonna be honest here. 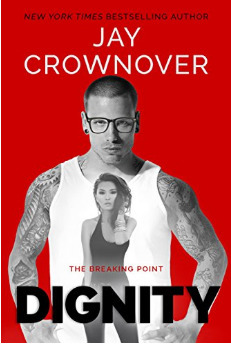 When I first started reading it, I realized it was a rom-com, and I don’t like those, so I stopped reading it. Sad, but true. HOWEVER, it was staring at me every time I turned on my kindle, so this last week, I picked it back up and tried it again, and you know what? I. LOVED. IT. Every single moment. The Hating Game was not your traditional rom-com, thankfully. It was definitely enemies to lovers, which I love, so I am sitting her with the biggest, goofiest grin on my face. This book totally lived up to the hype. Trust me. Can you imagine being around the one person you hate all day, every day at work? They work across from you and you have see their annoying face for 8+ hours? That’s what Josh and Lucy do. The entire office knows that they hate each other. HR has files on them. Even their bosses know to keep them apart. But you know what that say, there’s a fine line between love and hate, and this is proof of it. Being on the outside, I could totally read the signs, but obviously, they couldn’t. I loved watching them come to realization that they were being ridiculous and their hearts were pushing them together. I swear I spent the last few chapters cheering and giggling at how things all started coming together. I love love this book made my heart so very happy. It was a slow burn that kept me wanting more. 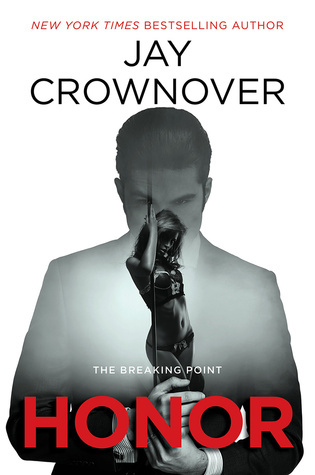 If you’re looking for a book that’ll leave you happy and swoony, this is the book for you. 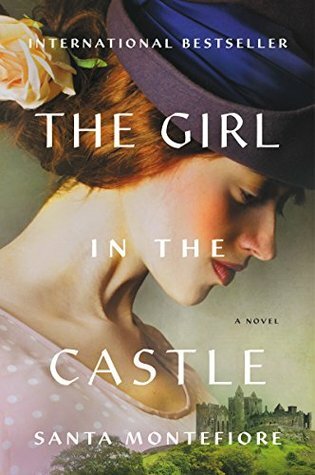 And if this is Sally Thorne’s debut novel, I can’t wait to see what else she brings to the table! I’ll be first in line. Neil Gaiman has a few different spots in my heart…the first is that he writes brilliantly and beautifully as so few can do. His style is both unique and refreshing. The second thing is the sound of his voice. It makes me near swoon. I could listen to him speak all day. I never get tired of it. Finally, he is one of the only writers that I actually enjoy a great deal of his short stories. I’m not a short story person really. However, I really do find myself enjoying some of his tales. I also love that he takes the time to explain where the stories come from. Sometimes those super short blurbs are more interesting than the actual story! They certainly almost always add to the story as well. If I had a complaint about the formatting of this novel it would only be I wish the blurbs came right before each story (or perhaps the end). Instead they are all in the start of the book so you have to go back and forth…or if you read the book from start to finish, you forget what little blurb inspired the story in the first place. Yes I know you can go flip back and forth…however, if you’re trying to listen to the audiobook (AGAIN! The second thing! HIS VOICE!!!) it’s not as easy to do. There are things that upset us. That’s not quite what we’re talking about here, though. I’m thinking about those images or words or ideas that drop like trapdoors beneath us, throwing us out of our safe, sane world into a place much more dark and less welcoming. Our hearts skip a ratatat drumbeat in our chests, and we fight for breath. Blood retreats from our faces and our fingers, leaving us pale and gasping and shocked. 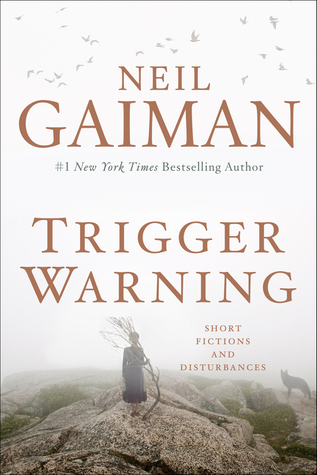 I first encountered the phrase Trigger Warning on the Internet, where it existed primarily to warn people of links to images or ideas that could upset them and trigger flashbacks or anxiety or terror, in order that the images or ideas could be filtered out of a feed, or that the person reading could be mentally prepared before encountering them. I was fascinated when I learned that trigger warnings had crossed the divide from the internet to the world of things you could touch. Several colleges, it was announced, were considering putting trigger warnings on works of literature, art or film, to warn students of what was waiting for them, an idea that I found myself simultaneously warming to (of course you want to let people who may be distressed that this might distress them) while at the same time being deeply troubled by it: when I wrote Sandman and it was being published as a monthly comic, it had a warning on each issue, telling the world it was Suggested for Mature Readers, which I thought was wise. It told potential readers that this was not a children’s comic and it might contain images or ideas that could be troubling, and also suggests that if you are mature (whatever that happens to means) you are on your own. As for what they would find that might disturb them, or shake them, or make them think something they had never thought before, I felt that that was their own look out. We are mature, we decide what we read or do not read. But so much of what we read as adults should be read, I think, with no warnings or alerts beyond, perhaps: we need to find out what fiction is, what it means, to us, an experience that is going to be unlike anyone else’s experience of the story. There are still things that profoundly upset me when I encounter them, whether it’s on the web or the word or in the world. They never get easier, never stop my heart from trip-trapping, never let me escape, this time, unscathed. But they teach me things, and they open my eyes, and if they hurt, they hurt in ways that make me think and grow and change. There are things in this book, as in life, that might upset you. There is death and pain in here, tears and discomfort, violence of all kinds, cruelty, even abuse. There is kindness, too, I hope, sometimes. Even a handful of happy endings. (Few stories end unhappily for all participants, after all.) And there’s more than that: I know a lady called Rocky who is upset by tentacles, and who genuinely needs warnings for things that have tentacles in them, especially tentacles with suckers, and who, confronted with an unexpected squid or octopus, will dive, shaking, behind the nearest sofa. There is an enormous tentacle somewhere in these pages. This book made me laugh out loud in more than a few places. It’s a wonderful telling about two boys growing up. How they help one another in ways that they are unable to even ask for. I found at times I was a bit irritated with the back and forth of the memories. The 1st person narrator would have a memory and then the novel would go back in time to expand on that memory. 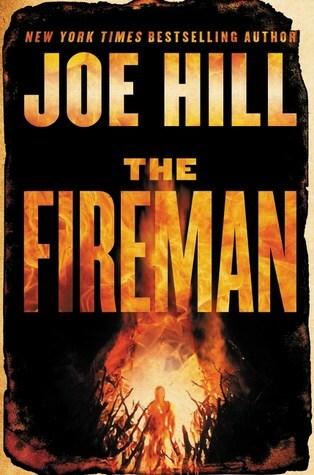 As the novel progressed and I became used to this, it really proved interesting. Especially since many of the memories were reminisced over a few times. Experiencing something vs looking back at a memory vs looking back at a memory after a traumatic event can all be very different experiences for the same person. “After the fact” we can all imagine how things might have been different if we had picked up on the clues we were given. I should note that this is a novel full of wonderful secondary characters. Some of them truly do help make this an extraordinary read. 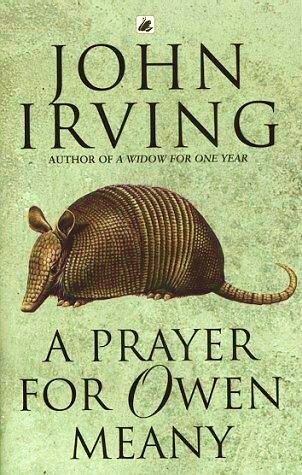 I admit, Owen really annoyed me during much of the novel…however, some part of me thinks that’s part of the point. I am kicking myself for waiting so long to read this book. I’ve read everything Jay’s written and yet, for some insane reason, I held off on this one. I think my brain knew the next book was coming out in October, so it made me wait. Yes, let’s go with that. When I read the introduction, I was immediately nervous. Will I like Nassir? Will he be too damaged to change? Then I read the prologue. And let me tell you, anyone can change, if they have the right motivation. Is Nassir perfect? Nope. He’s what you’d call an anti-hero. He may make you cringe at his methods of doing things, but he does them for the right reasons. He’s just a little more extreme than most. But when he meets Keelyn “Honor”, everything changes for him. I loved these two together. After being shot in the previous book, she fought to stay away from Nassir, thinking that’s what was best for her. She had a rough life and wanted peace. But she was so wrong. When she finally accepts him, and what he offers her, there’s no backing away. These two were connected from the very first moment they laid eyes on each other. Rather intense, if you ask me. My heart was racing quite a bit during this book. Intense may actually be a mild for how they are together. Explosive. That’s better. Nassir and Key may be one of my favorite Crownover couples. I love the crazy love and crazy atmosphere they live in. Definitely kept me on my toes and had me reading slow, so I could savor it all. This world they live in is rough and unkind, but they make it work. I am super excited to read the next one! I bet it’s going to be even crazier. You don’t need to read the previous Point books to fully enjoy this one. But I still recommend you do, since the characters pop up in here and Nassir is in those ones as well. Instead I’ve falling in love with Ireland…a country I’ve never seen. I can’t say I really enjoyed the characters. I can’t say I didn’t either. There was love, hate, and anger for all. However, I take that as a sign of a really fantastic writer. The characters were real to me.